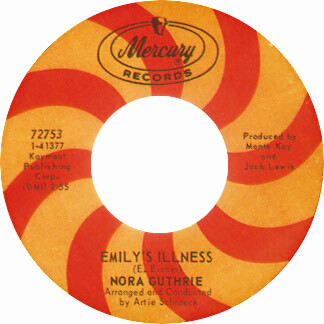 "Emily's Illness", a forgotten 45 from late 1967 recorded by a 17-year-old non-singer named Nora Guthrie, is an overpowering musical force. In the three-minute span from its opening harpsichord down-note to its double-reverse coda, "Emily's Illness" expands to occupy all attention, saturating its environment to the extent that music and listener are ineluctably fused into one unit. Like the singer Nora, the character Emily is a teenage girl. Her illness, the exact nature of which is never disclosed, is slowly killing her. She is a musician and a composer. Music is her sustenance, and the greater tragedy of her dying will not be the loss of her life, but the loss of her music. Or perhaps Emily is not dying at all, but merely using a vision of her death to briefly escape the ravages of her disease, which is quite real. In either case, her sense of doom unfurls like a winter blanket across the landscape of her song. She arrives at a vision of brutal self-annihilation, from which will mystically be woven the tapestry of her masterpiece. Ultimately, however, that masterpiece will be desecrated by pitiless and ironical agents of commerce. 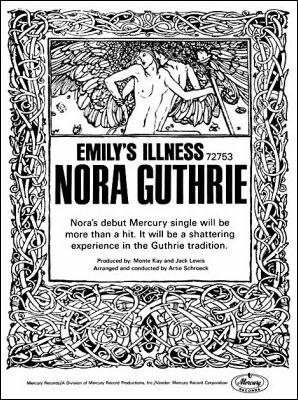 "Emily's Illness" was written in the Summer of Love by Eric Eisner, Nora Guthrie's 18-year-old boyfriend. Although a semi-professional musician and a promising songwriter, Eisner was not a singer. Nora, by training a dancer (her mother had been a member of Martha Graham's troupe), didn't consider herself a singer either, yet fell naturally into the role of Eisner's personal vocal interpreter. She was raised in a musical family, the daughter of Woody Guthrie and the sister of Arlo. Her singing in "Emily's Illness" is unadorned, and almost painfully sincere. 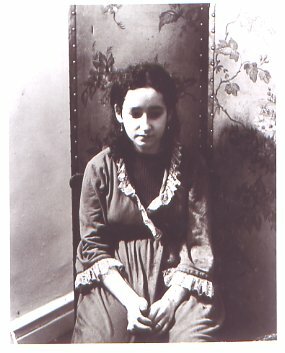 "It was hardly a performance, at 17", Nora says of "Emily's Illness". "I don't think I knew from performance then. I think of it more like a photograph". The purity of her approach glistens like a small but uncut diamond, and is one of the record's most potent components. In the months leading up to "Emily's Illness", Nora and Eric had become fascinated with the music of Brazilian composer and guitarist Joao Gilberto, the creator of the bossa nova. "Joao's music was a really, really big influence on me and Eric, on Eric particularly. We all wrote and sang in the style of Joao and Astrud,  that cool jazz, understated samba". A tinge of this sound insinuates itself into "Emily's Illness", primarily in its tempo and guitar stylings, but the song draws at least as much from the dusky tension of folk-rock, the baroque-derived instrumentation of groups like The Left Banke and The Zombies, and on what Eisner refers to as "that incantation of The Beatles". Arranger Artie Schroeck had recently worked on The Lovin' Spoonful's hypnotic "Darling Be Home Soon", where his symphonic instrumental break was a direct response to the coda of "A Day In The Life". Schroeck's arrangement of "Emily's Illness" too owes a large debt to Sgt. Pepper's proposition that adult instruments may be used to color records primarily intended for teenagers. But a citation of its influences does little justice to "Emily's Illness"'s unique construction of sound. The song's creation was one of those rarest of instances, where peaks of composition, arrangement, production and performance all arrive at once to mesh seamlessly into a perfect pop concoction. Egos are relinquished, and all elements are in service to the communal goal.A supple, muscular bass buttresses the layers which delicately repose on its shoulders. Acoustic guitar and harpsichord interplay on the chords in persistent little swells; strings and bits of distant French horn arise slightly to reveal themselves at various open points. The drums bap away almost subliminally. The overall tone of the song is airy -- airy, like ill vapor -- yet perseverant, like a migraine headache. A kind of a hush hovers across its surface. The tone is distinctly melancholy, but it is also resolute, unyielding. Emily appears resigned to her fate, yet she is not quite ready to give up the ghost. Music to rise from my blood, like vapor. Ill vapor, from bad blood. I know I'm not well, but it doesn't frighten me anymore. Ill vapor, from bad blood. Emily's sickness permeates her song, its presence manifest. Even if there were no vocal, no words to spell out her story, you'd still know that she was in some way diseased. Her candid expression of her condition creates an insidious effect, an intangible sense of disquiet or noxious foreboding. Perhaps it's the song's relentless, almost plodding progression that lends it its air of doom, as if Emily were marching herself into the ocean. 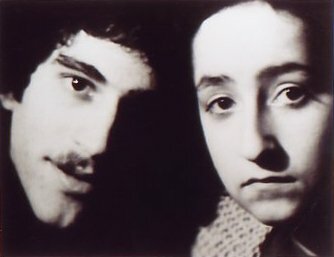 Eric Eisner and Nora Guthrie met in their early teens, at a summer camp for "red diaper babies", the children of New York's radical left activists. They bonded instantly. "He was always my teacher", Nora says. Back home in New York, they both attended Elisabeth Irwin High School, a progressive institution in Greenwich Village linked with the famous Little Red School House. Most of the teachers at E.I. had been blacklisted in the McCarthy era, and weren't employable anywhere else. Kathy Boudin, Mary Travers, Angela Davis, and the sons of Ethel and Julius Rosenberg had all studied there. Eric grew up surrounded by music. His family lived around the corner from The Village Vanguard. In his younger days he had studied classical guitar, and his three older brothers were all jazz saxophone players. The four Eisner boys and Nora would sometimes harmonize together, mainly singing the doo-wop of New York's earlier street corners. None of them paid any attention to her father's music. "I had grown up with Leadbelly hanging around the house, so when it came to folk music I was kind of like, 'OK'. But this music that Eric and his brothers were singing just totally overwhelmed me. I thought it was the coolest thing in the world". When he started writing songs, doo wop and jazz became Eric's primary influences. That slight pregnant pause in the last line of the stanza, leading into " ... ill" -- that's what does it for me. Nora's right on the beat through the first part of the line, but then there is a moment's hesitation, and her throat cringes just a bit, as if evoking her character's infirmity. By just an eyelash, she crosses the beat. The listener's timing is thrown off, imagining the unknown word before it's actually heard. And then a second later, when it is, it's a bit ... off -- a blue note. The knees buckle. It wasn't a mistake. "That's Eric's timing - that's the way he wrote it", Nora says. "That's the way he sang it exactly, and I sang it exactly like he did". And with the choice of that one single, quavering note, they summarized the power of the entire song. While with The Strangers, Eric started writing songs in earnest, contributing a good share of their original material. He continued the practice after they broke up, despite the fact that he no longer had a musical outlet. "I didn't really care that much", Eisner recalls. "It was just as much fun for me to write songs and have Nora sing them. I was only interested in hearing how the songs sounded". There was never any question that he might sing his own songs. "I can't sing worth a dime". "Emily's Illness" arrived "from the dregs of Eric's soul", according to Nora. "I was scared of the song. I was scared of Eric -- watching him write that song scared me". And watching him play it, as well. "Those feelings of watching Eric as he played this thing for me were very overwhelming. He had a little nylon-string guitar, and we played everything in the dark bedroom light. When he played, he'd kind of curl over his guitar and sing in a very, very soft voice. He would make a circle with his body, with music coming up through his spine and then down to his head and back into his guitar. It was kind of 'from him, to him'". Eisner understands her reaction. "I think I might've been mildly psychotic at that age". The song means many different things to its principals, and their respective impressions of its underlying motives don't even overlap all that much. Indeed, not only is the song vague enough to suggest varying thoughts and impressions, but it's weighty enough to support them. "I think it was about the torture of becoming self-aware", Eisner says, "of suddenly going from that kind of bliss of ignorance that you enjoy up to a certain point in your life, and then suddenly, when you have no real intellectual capacity for handling it, you're cursed with this awareness you wish you didn't have". He offers an alternate possibility. "I think it was about a kind of ennui, or something of that nature that I was going through, which is pretty endemic to adolescence". And another. "At some point in childhood development you become aware of the concept of mortality, of the reality of life. I think that's what was going on with me at the time". When teenagers tackle themes as difficult as self-perception and death, they tend to do so with a heavy hand. Hell, even adults can't often pull it off. But the lyrics to "Emily's Illness" are deft and sophisticated, and remarkably devoid of pretension. Nora has her own impressions of the song's meaning. "There's no illness, but it's still very personal. Eric used a female character to express a part of him. I know that it was one of the hardest songs for him to write. He would cry, singing it and writing it. He'd get so moved that he'd say, 'Here Nora, you sing it', because he couldn't get through it. It was a really big time in his life, just starting college and leaving music. I think it was one of the last songs he wrote. Up until then, he had written lighter songs and love songs. But 'Emily', with these images of blood dripping and becoming the notes on the music, they're really very metaphorical, and very personal to Eric. I was amazed -- it was really like poetry, that he was able to write an image like that. And I'd say, 'I'm supposed to sing that line? "They make me drink a lot of hot things"?' I'd say, 'Oh God, Eric, this is really sick'". 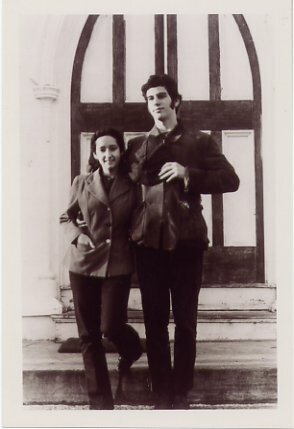 Jack Lewis landed a deal with Mercury, and in the fall of 1967 Eric and Nora took "Emily's Illness" into the studio. Lewis produced. Eisner played guitar. None of the principals can remember the names of the other musicians. Nora sang live. There was dissent over the song's ending. Schroeck chose a lilting fuzz-guitar figure to answer and illustrate the crucial line about the clarinet. Eisner felt the part should be played on clarinet, but Schroeck didn't want it to be quite so literal. "I said, 'No, no, no'", Schroeck remembers. "'We're talking rock 'n' roll here'". Schroeck's most inspired stroke was to finish the song with a "Day In The Life"-styled coda in which Emily's haunting theme is performed in double-reverse. He painstakingly transcribed the melody so that the last note would be played first, followed by the second-to-last note, etc. The part was overdubbed while the basic tracks were played backwards. When finished, the recording was returned to its original direction; thus, the backwards melody was now heard forwards, but with its textures reversed; its decaying elements now attacking, and vice versa. Besides putting an utterly unique and strikingly ethereal spin on the song's concluding fade-out, the double-reverse also summarized what Schroeck believed was the song's message. "The whole lyric involved the fact that corporate America is trying to screw the character in the song. So after the record is made, they do". Eisner again disagreed, contending that to include the backwards section would in fact undermine Emily's plea: I hope they don't record it backwards. But he and Nora were just kids, and the pros overruled. The irony itself becomes double-reversed – Emily's songwriting success arises from the means of her death, but it is debased, the last request of a dying girl turned on its head. Still further is the real-life irony of the requests of "Emily's"' songwriter being ignored by the studio authorities. Mercury released "Emily's Illness"  in late November (#72753), to little fanfare. The label sprang for a full-page ad in Billboard, but having no live act to send out on tour behind the record might have dampened their enthusiasm for promoting it properly. There was one performance, an in-studio appearance on Bob Fass's popular overnight show on WBAI, New York's Pacifica station. "Eric was with me", Nora recalls. "We'd talk to the host, then do a tune, then talk, then do a tune. When it came time for me to do a station break, I was so nervous that I announced the wrong station!" The record enjoyed significant airplay in one city. "It was one of those underground hits in San Francisco", says Nora. "They played it a lot". Eric and Nora had no expectations for the record, and thus were not terribly disappointed when it went nowhere. In fact, Nora was almost hoping it would fail. "I was really embarrassed. When I heard it, I thought there was such a lack of maturity". Jack Lewis had higher hopes, but was experienced enough to chalk it up as a loss and move on. "Nobody at the record company understood the record", he says. "And when a company releases something without a good vibe, man, it stops before it even gets out the door". The Mercury contract called for a second single. But Nora was about to enter NYU for dance studies, and had no desire for a singing career. "It was something I was quite willing to drop, actually. I was like, 'Couldn't we just forget about this?' Jack had to do some work to get me out of the contract". Eric stayed on at Columbia to get a law degree, graduating in 1973 near the head of his class. He would place a few more of his songs -- with Kenny Rankin, The Turtles, Deniece Williams and soft-rock trio Howdy Moon  -- before switching from the music side of the music business to the business side. After law school, the former student radical immediately went corporate, moving to Los Angeles to work as a high-powered entertainment attorney. He spent the 1980s as president of the David Geffen Company, concentrating primarily on their motion picture division. Among other films, Eisner helped oversee production of the megahits Risky Business and Beetlejuice. When in 1990 Geffen sold his company to MCA for more than a half-billion dollars, Eisner cashed out his shares too and retired young. He now tutors high-intelligence inner city kids, and plays "as much golf as possible". Although Eric and Nora's romance ended by default when he moved to L.A., they have remained beloved friends over the years. Retired from dancing after a successful career, Nora administers her father's song catalogue, with an eye towards "dragging him out of the Dust Bowl and putting him in the present". She was the executive producer of 1998's acclaimed Mermaid Avenue, an album for which Billy Bragg and Wilco set to music some of Woody's unrecorded lyrics. A second volume was released in spring 2000; both received Grammy nominations. 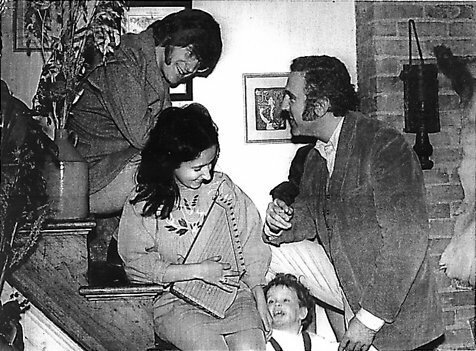 In 1992 Nora herself recorded again for the first time since "Emily's Illness", joining her brothers Arlo and Joady and a passel of their kids in adding their voices to tapes of Woody singing some of his children's songs. The resulting Warner Brothers album, Grow Big Songs, is delightful. 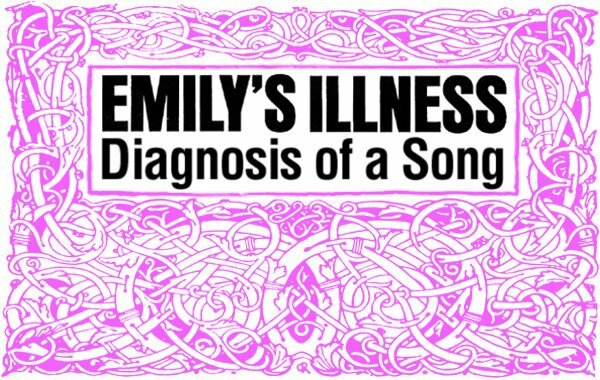 Unlike many other records that flopped upon release but have since been reclaimed, "Emily's Illness" has had no second life; it is even more obscure today than it was during its brief moment of availability over 30 years ago. This article aspires to two ends: to whet the appetite of today's audience of '60s music fans who, I am certain, would be instantly seduced by the magic of "Emily's Illness"; and, more importantly, to jump-start the motor of its rerelease. Because writing and reading about music, obviously, pale beside the real thing. And "Emily's Illness", if it is nothing else, is indeed the real thing. I hope you get to hear it someday. Postscript: Since the original publication of this article, "Emily's Illness" has indeed been reclaimed for public consumption. It is included in Arf! Arf! Records' 2003 compilation, Only In America, Vol. 2, readily available at most record shops or via Arf! Arf! 's website [http://www.arfarfrecords.com]. The world is a bit better place for it. Thanks for assistance with this article to Tom Ardolino, Rob Coleman, Lisa Eisner, Sam Gaines, Peter Gallway, Brian Gari, Seymour Glass, Michael Greenberg, Michael Kleff, Reed Lappin, Erik Lindgren, Masaki Mitsuhisa, Yoshi Nagato, Mike Stax, and especially to the principals of "Emily's Illness", Jack Lewis, Artie Schroeck, Eric Eisner and Nora Guthrie. 1. "For certain engineering purposes, it is desirable to have as silent a situation as possible. Such a room is called an anechoic chamber, its six walls made of special material, a room without echoes. I entered one at Harvard University ... and heard two sounds, one high and one low. When I described them to the engineer in charge, he informed me that the high one was my nervous system in operation and the low one my blood in circulation". - John Cage, "Experimental Music", 1957. 2. Astrud Gilberto, Joao's then-wife and untrained singer of "The Girl From Ipanema". 3. By coincidence, the initials of Eric and Nora's high school as well as their song. 4. Bob Cavallo, who went on to manage Earth, Wind & Fire, Prince, Seal, Weezer, The Goo Goo Dolls and Alanis Morissette, and is now also a big-time movie producer. 5. Things sure did happen fast in the '60s. Within a few months Stills would relocate to the West Coast, be turned down for The Monkees, and hook up with Buffalo Springfield. The Springfield, possibly with Stills as the go-between, fooled around with one of Eric's songs for a while, but never recorded it. 6. The Strangers reformed some months later, minus Eric, and released a 45 on KR (#0115), "Land Of Music" b/w "I Need Your Love Inside Me". 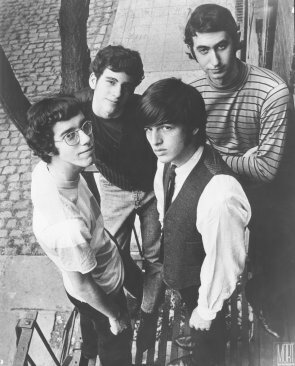 The nucleus of this version then grew into The Fifth Avenue Band, which released an album on Reprise in 1969. Strangers lead singer and rhythm guitarist Peter Gallway is today a solo artist and producer. KR's name was formed from the initials of its majordomos, Charles Koppelman and Don Rubin. As two of the Ivy Three, K and R had had a novelty hit with "Yogi" in 1960 (Shell #720). Koppelman, the K of KR, went on to become one of the music industry's leading power brokers, most recently heard from guiding what's left of Michael Jackson's music career. 7. In Jack Lewis, Eric and Nora were fortunate to work with yet another heavy hitter. His jazz credentials include work with Duke Ellington, Coleman Hawkins, Zoot Sims, Milt Jackson, Joao Gilberto, Nina Simone, Jackie & Roy, Herbie Hancock and Tony Williams; in pop, The Lovin' Spoonful and Kenny Rankin; and in comedy, Woody Allen, George Carlin, The Committee, Burns & Schreiber and Flip Wilson. Like other principals in this story, he has also produced movies, primarily jazz anthologies. 8. Another person whose approval helped spur Nora's singing was their hero, Joao Gilberto. "Joao came to town to play", Nora says, "Jack Lewis cooked this up, he said, 'Joao, you gotta hear these songs, and you gotta hear Nora sing'. I had been listening to Joao for years but never thought I'd be singing for him. So he came over to Eric's house one day and we just all started playing together and singing, and he gave me a lot of thumbs up, that it was OK for me to sing". 9. Backed with "Home Before Dark", another charming Eisner original – "about fireflies", he says. "Home Before Dark" embodies even more of the Gilberto influence. 10. Unlike most other campus uprisings of the day, the Columbia revolt had nothing to do with Vietnam. It was sparked instead by a racial issue, involving the construction of a university gym in an area where it was unwelcomed by its Harlem neighbors. 11. Eric spent his entire educational career in Manhattan. "I went to grade school, junior high school, high school, college, and law school in the same borough", he said. "Not many people can boast that". 12. "Nora Lee", Eisner's contribution to 1974's Howdy Moon album, is a wistful remembrance of his time with Nora Lee Guthrie. The track was produced by Lowell George, with Eisner on acoustic guitar. 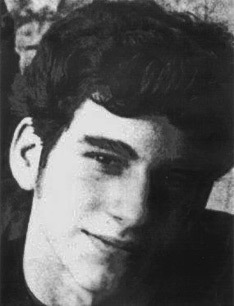 Another song on the album was produced by the 17-year-old Michael Jackson. 13. Disney president Michael Eisner has a son named Eric. The two Eric Eisners are occasionally confused for one another.